Learn more about the place we’re working to protect. Nestled in southern British Columbia along the international border, the South Okanagan Similkameen is a breathtakingly diverse landscape. Known as Canada’s “pocket desert” it contains three of B.C.’s four most vulnerable biogeoclimactic zones: Bunch Grass, Ponderosa Pine, and Interior Douglas Fir. These biogeoclimatic zones contain further vulnerable sub-zone habitats, including wetland and cottonwood riparian areas. Because of the unique ecosystems and species that call these places home, this region has been recognised as an internationally important area for biodiversity conservation. 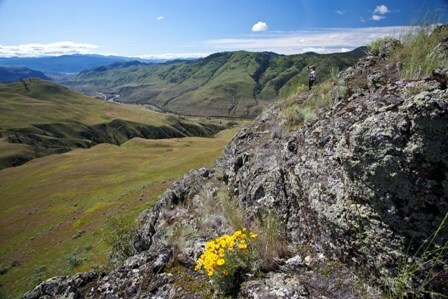 The grassland ecosystems of the South-Okanagan Similkameen are some of Canada’s most endangered. They also are home to the highest concentration of provincially and federally listed species at risk within the country. The proposed South Okanagan Similkameen National Park Reserve would encompass and provide significant protection for an array of rare habitats and beautiful landscapes, many unique to this region within Canada. In 2010 Parks Canada developed a draft park concept that would have protected over 286 square kilometres between the communities of Oliver, Cawston and Osoyoos. This proposed boundary area was only one third the size of the area that Parks Canada had originally sought to protect within the region. In 2015, the government of B.C. announced a protected areas framework for the South Okanagan-Similkameen which included their vision for a South Okanagan Similkameen National Park Reserve boundary. The province proposed a smaller concept area for a National Park Reserve than that proposed by Parks Canada, with the remaining areas being proposed to receive provincial conservancy status. 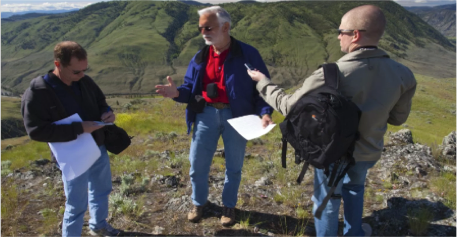 In 2017, Officials from Parks Canada, the government of BC and First Nations announced a renewed commitment to work together and move forward on the creation of a South Okanagan Similkameen National Park Reserve. We believe that any proposed boundaries for a South Okanagan Similkameen National Park Reserve should include all three of the areas identified by the Province within their protected areas framework as well Vaseux and White Lakes and important connectivity corridors through the valley between the proposed areas to be included as part of a National Park Reserve. We wish to see a national park that protects a significant proportion of the important habitats that exist within our region. Why A National Park Reserve? 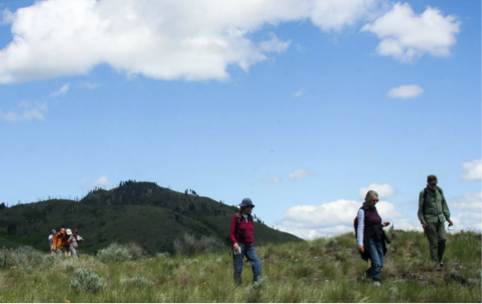 A National Park Reserve in the South Okanagan-Similkameen will provide a lasting legacy for future generations – a place where the beautiful landscape and precious habits will be protected for perpetuity. It will provide a safe-haven for species at risk who are quickly losing habitat to the numerous pressures place upon the land. Establishing a national park in the South Okanagan-Similkameen will also impact the local economy in a positive way. Across BC national parks have proven their ability to create long-term job opportunities and promote visitor spending. Diversification of the local economy will contribute to maintaining the viability of local schools, hotels, and other services. In addition, designating this area as a national park reserve will guarantee local and public access to the land through quality experiences that don’t negatively contribute to the ecological integrity and biological diversity of the landscape. As a result of significant local population growth, housing and subdivision development has rampantly advanced within the South Okanagan Similkameen. This urban development has greatly reduced the integrity of the local landscape and impacted it’s ability to support the species that rely upon it for habitat. While population growth is important to our communities, providing economic development and stability, it has also led to the conversion of vast areas of untouched grassland habitat to an urban land-form. This serves to reduce the ecological functionality of the landscape and decreases biodiversity. The pressures of the regions important agricultural industry has also had a lasting impact on the local landscape. Large portions of previously untouched grassland habitat have been converted to vineyards and orchards. These industrial agricultural uses bring with them a plethora of environmental issues, including the depletion of nearby wetlands, reduction of ground water levels and widespread use of pesticide and fertilisers. Additionally, livestock grazing and other grassland agricultural uses lead to soil erosion and habitat fragmentation. Ranching and other grassland based agricultural practices have been significant historic economic activities within the Okanagan-Similkameen. However, they have also negatively altered the natural landscape over the last century. The bunchgrass dominated grasslands of the region developed under low-intensity grazing by small native populations of elk, deer and bighorn sheep. This type of grazing is much different than the prairie grasslands that evolved to sustain large bison herds and are more resilient to the high trampling of large grazing populations. The current and historical high intensity grazing pressures placed upon the grasslands of the Okanagan Similkameen have severely influenced the ecological capacity of these fragile ecosystems through wide-spread soil disturbance and compaction. Grazing has also contributed to the spread and success of invasive plant species such as knapweed, sulphur cinquefoil and cheatgrass. Although a majority of the park concept area currently exists in a relatively undisturbed natural state, it is unlikely that this area will remain ecologically sound for much longer. 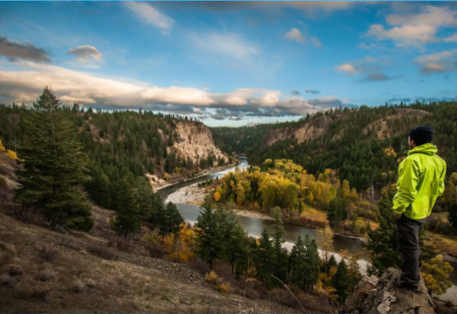 The proposed Okanagan Similkameen National Park Reserve provides us with an opportunity to protect some of the last remaining strongholds of pristine, in-tact bunchgrass habitat in British Columbia – an opportunity we don’t want to let slide by. The South Okanagan-Similkameen is home to the largest number of species at risk in Canada. Within the region there are 23 Red Listed species, including the Tiger Salamander, the Lark Sparrow and the Prairie Falcon. The region is also home to 35 Blue Listed species, including the Canyon Wren, the Spotted Bat and California Big Horn Sheep. Parks Canada is organised on behalf of Canadians to “protect and present nationally significant examples of Canada’s natural and cultural heritage and foster public understanding, appreciation and enjoyment in ways that ensure their ecological and commemorative integrity for present and future generations” (Parks Canada Mandate). Setting aside a portion of the region as a National Park would bring in the significant funding, staffing levels and scientific expertise required to ensure this special place is preserved for future generations as well as remains ecologically stable providing secure habitat for important species. The economic benefits of the National Park Reserve in the South Okanagan will be highly significant. According to a report released by the South Okanagan-Similkameen National Park Steering Committee a national park in the South Okanagan would produce $72.0 million in investments, $56.3 million in income, and $39.9 million in government tax revenue. The park would create 832 full time equivalent jobs and could potentially draw as many as 300,000 visitors annually. Will we lose local autonomy to the National Government? The community skepticism over bureaucratic imposition is a reasonable concern. However, the benefits that national administration will bring to this issue outweigh this concern. Parks Canada will infuse the economy with millions of dollars each year. The national park system will bring vast resources and expertise to this local conservation issue, and will do so in perpetuity. The National Park system in Canada has been protecting Canadian wilderness and boosting local economies for over 100 years. The Canadian National Park System is a world-class conservation organization, with very few better examples of sound environmental management in the world. Will ranchers lose their land and livelihoods from government intervention? 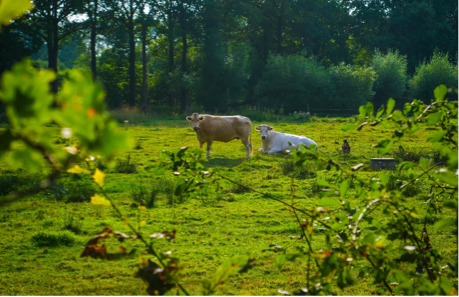 Because of the cultural significance of ranching in the region, ranchers will still be able to carry out their agricultural practices, just as before. In addition, they have the option of selling their land to Parks Canada or keeping it in their family. Local ranchers will have the opportunity to collaborate with Parks Canada through an adaptive management framework. Why not a Provincial Park instead? In Canada, national parks provide the highest level of habitat protection. We want a national park reserve to protect this important conservation area because it provides a greater amount of national resources and funding that will be put towards the maintenance and management of the environment. On average, a Canadian national park receives over $8 million a year in funding. Recently there have been some legal changes around around the protection of provincial parks. With the passing of Bill 4, the government is now able to permit to industrial exploration. For this reason, provincial parks are not currently as well protected as national parks, which afford a greater level of protection. A national park designation is the best way we can preserve this area for future. Is HNZ Topflight Helicopter Training going to be continued? Yes. The South Okanagan National Park Network has addressed HNZ Topflight elicopter Training’s opposition to the proposed national park reserve. 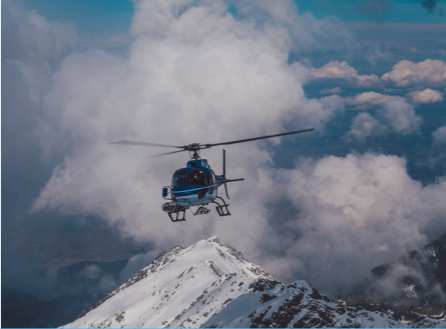 Parks Canada has repeatedly confirmed that HNZ Topflight Helicopter Training, a business that existed prior to the establishment of the national park reserve, is entitled to continue operating there. Parks Canada has confirmed that they will be given a permit and a management plan similar to the one that they currently have with the Province. What are the land use regulations? No one likes to be told what they can and cannot do on their land. However, coming together as a community to decide how we can address some of the growing environmental concerns in the Okanagan-Similkameen is crucial. The cumulative effects of high intensity ranching and unregulated use of motorized vehicle recreation in the region have created irreparable damage to many local ecosystems and species. Fishing WILL be allowed. Parks Canada supports fishing with National Parks where opportunities exist for this popular and historical recreational activity. Hunting will NOT be allowed. Some species that are hunted annually and will have a safe-haven within park boundaries. These species need and deserve a refuge where they can regenerate without this annual threat. There are many other local regions where hunters can carry out this recreational pursuit. Motorized ATV recreation will NOT be allowed. This form of recreation can greatly damage the fragile habitats within the region. Parks Canada will be actively working to protect this natural area from further ecological damage. Those of us who use motorized vehicles can enjoy this recreation in many other local areas.